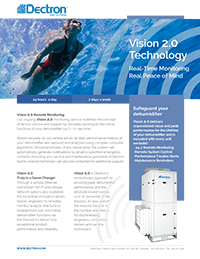 Vision 2.0 is the industry’s most advanced internet monitoring and control technology for pool dehumidifiers. With over 10 years of development and thousands of installations, Vision 2.0 has changed the dehumidification industry. No longer do technicians have to be on site to diagnose performance issues. No longer are expensive service visits required to make system adjustments, and no longer do owners and operators have to guess whether or not their room conditions and system performance are optimized. 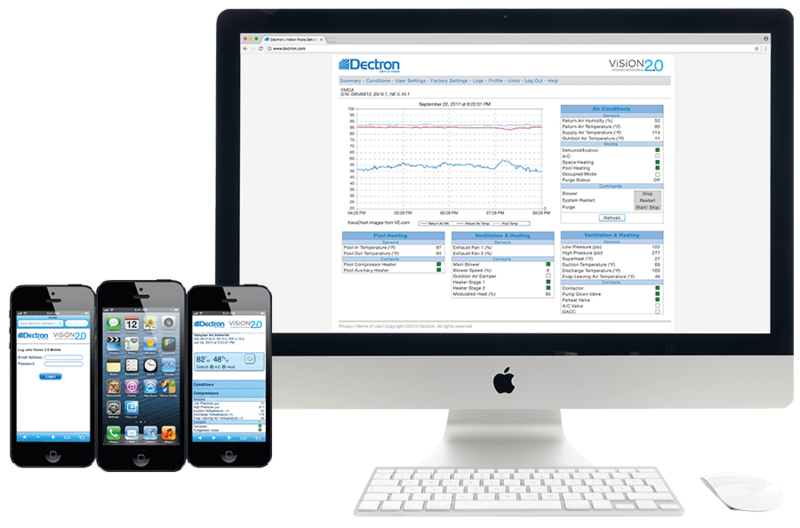 With Vision 2.0 Internet monitoring over 100 system parameters are monitored and recorded, 24-7 providing extraordinary insight into the health and performance of your dehumidifier. And if required, hundreds of variables can be remotely adjusted to ensure peak performance.